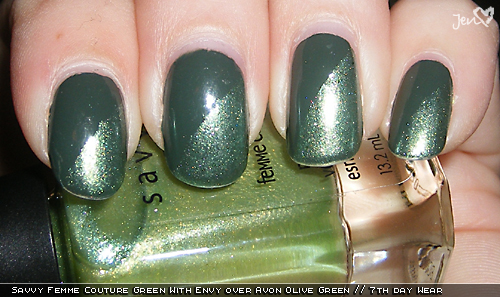 I added this green foil over my existing mani on Thursday night, and dubbed it Funky Friday the following day at work. It was fun and spruced up my mani a little. As you can see, I had some tip wear from the base color, but other than that, it wore like iron! I haven't decided whether I'm going to do a funky friday each week or not. We'll see!